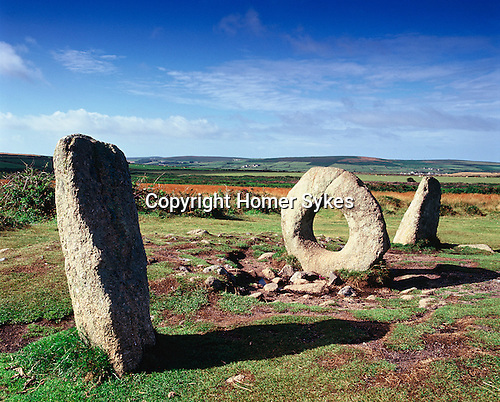 Men an Tol, or Holed Stone Nr Morvah, Penwith Moor, Cornwall. England. This is the remains of a Bronze Age stone circle with a holed stone at its centre.